Hey folks! I've got some interesting stuff from a brand new indie today! 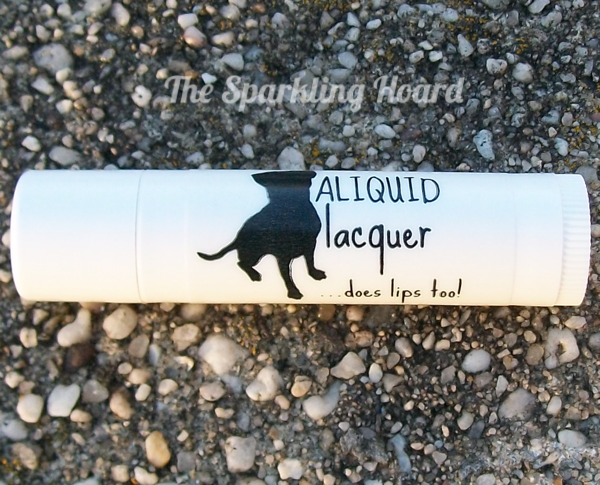 Let's give a warm welcome to Aliquid Lacquer! 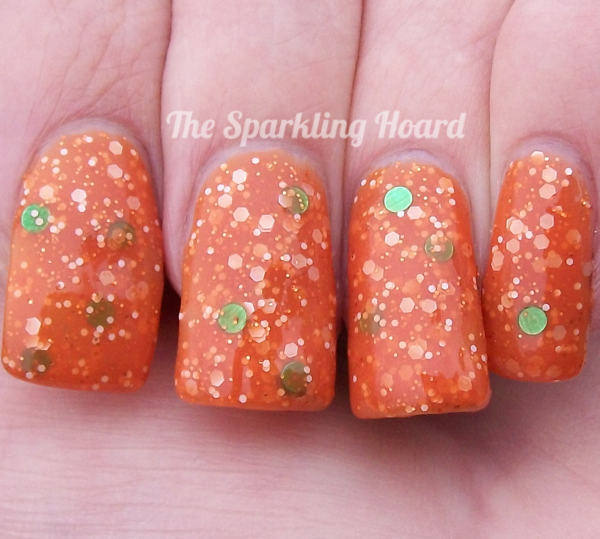 Carrot Cake features an orange jelly base filled with green circle glitter, tiny orange glitter, and two sizes of white glitter. 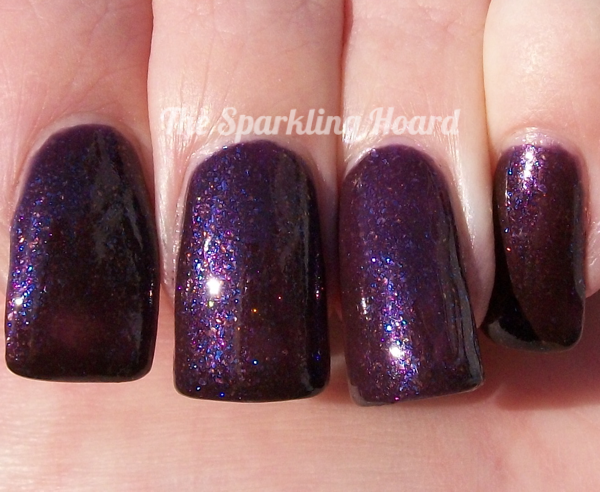 The circle glitters have a tendency to want to stick to each other and stack up like coins (this is a fairly common occurrence with circle glitter), but overall, this polish applied quite nicely. It's a very unusual color combination, but it actually looks quite nice on the nail. I think it would be especially appropriate for Easter! Dry time was average, and two coats are needed for full opacity. Aliquid describes Make A Wish as "A dreamy blue-grey creme with lots of small red and copper flecks, green/gold flecks, and some blue flecks that wink at you in the light, plus a green-to-red shifting shimmer" (yes, it's so complex that I'm not even going to try to describe it on my own, haha). The formula on this was lovely and it almost could have been a one-coater. Dry time was average. Quiet Night In is a dark purple jelly filled with multicolored flecks. The first coat goes on patchy (not sure if this is due to the formula, or the small brush on the mini bottles), but the second coat evens everything out. This is a very classy color! Dry time was average. I was also sent a tube of Aliquid's lip balm. This balm is lightly vanilla-scented and unflavored. I've been using it for a few days, and it does seem to work nicely. I found it to be non-greasy and on the more firm and waxy side of the spectrum (I imagine this means that it's less likely to melt in your pocket than softer balms). If you're already buying polish from Aliquid, you might as well buy the balm, too. 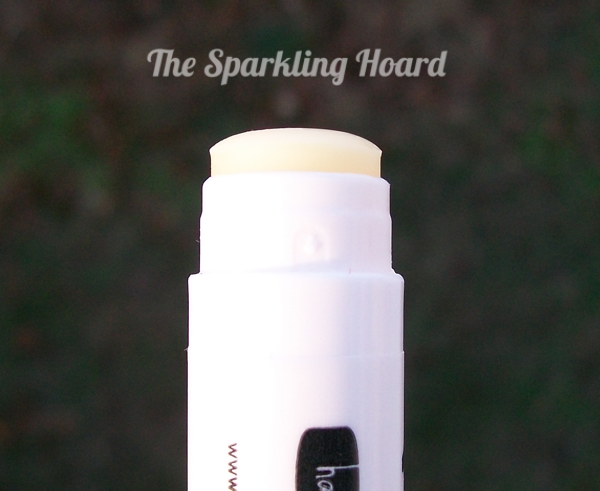 You can never have too much lip balm during the winter! Overall, this was a unique and well-executed first showing for this new indie brand! To buy, visit the brand's Etsy shop. Full size (15mL) polishes cost $9, minis (5mL) cost $4, and the lip balm (4 grams) costs $2. You can use the coupon code PARTYTIME (expires December 8th) to get 10% off your order! To stay up-to-date with the latest news from Aliquid Lacquer, Like the brand's Facebook page. Gorgeous swatches! I really need to pick up Make A Wish. Thanks! It's very classy and great for fall/winter!